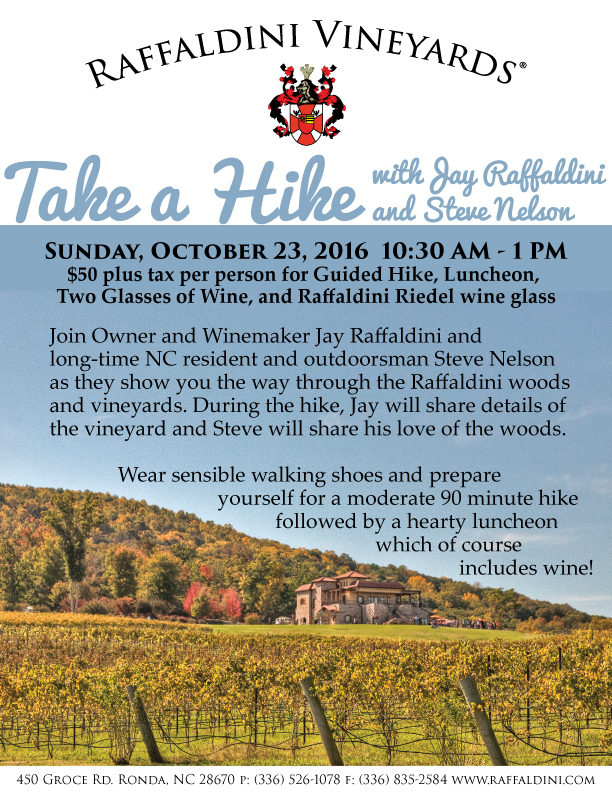 There is no better time than October to visit Raffaldini Vineyards. Cool afternoons, clear days, and changing leaves make for the perfect vineyard visit. 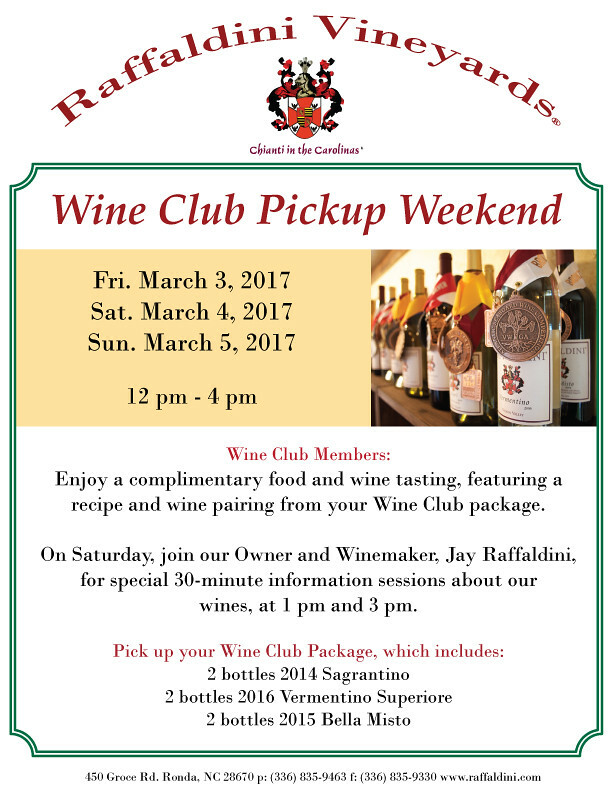 Find out more about Raffaldini Vineyards by reading below or visiting our website. 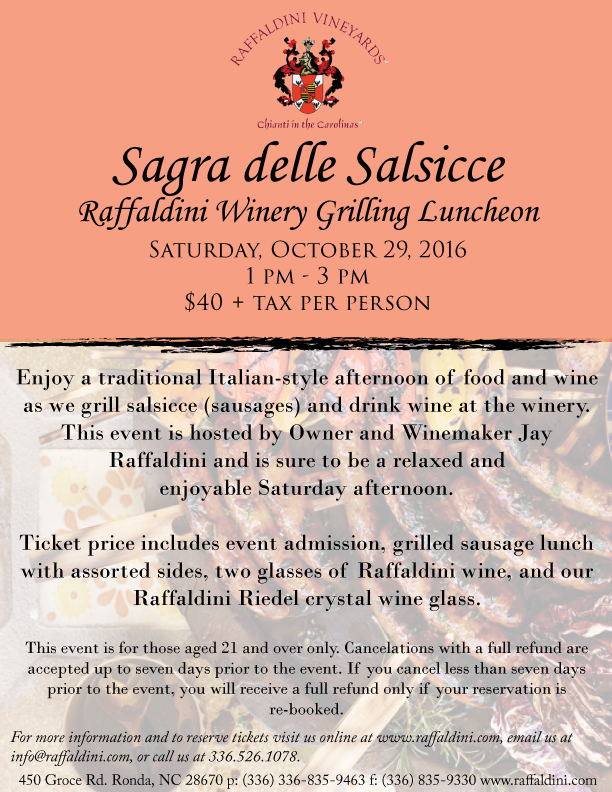 Enjoy a traditional Italian-style afternoon of food and wine as we grill salsicce (sausage) and drink wine at the winery. 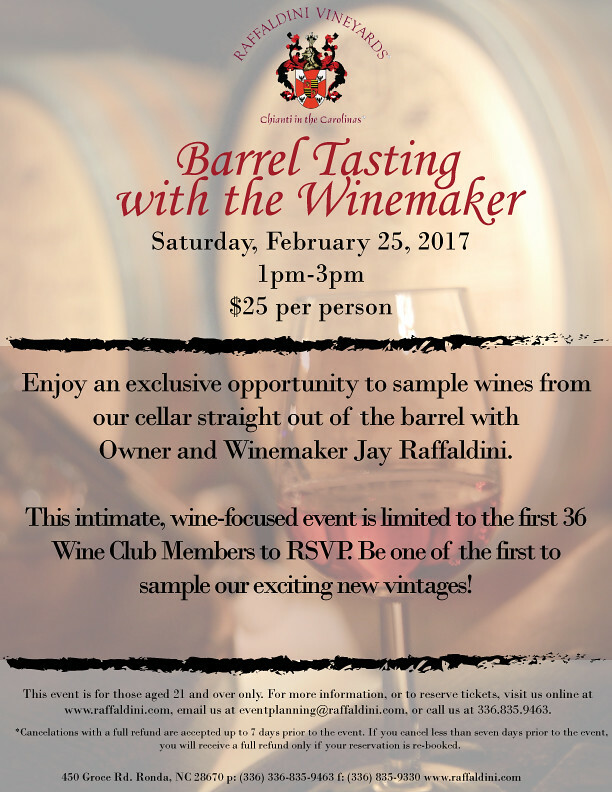 This event is hosted by Owner and Winemaker Jay Raffaldini and is sure to be a relaxed and enjoyable Saturday afternoon. Ticket price is $40 plus tax per person and includes admission to event, grilled sausage lunch and assorted sides, two glasses of Raffaldini wines and our Riedel Crystal Wine Glass. This event is for those age 21 and over. 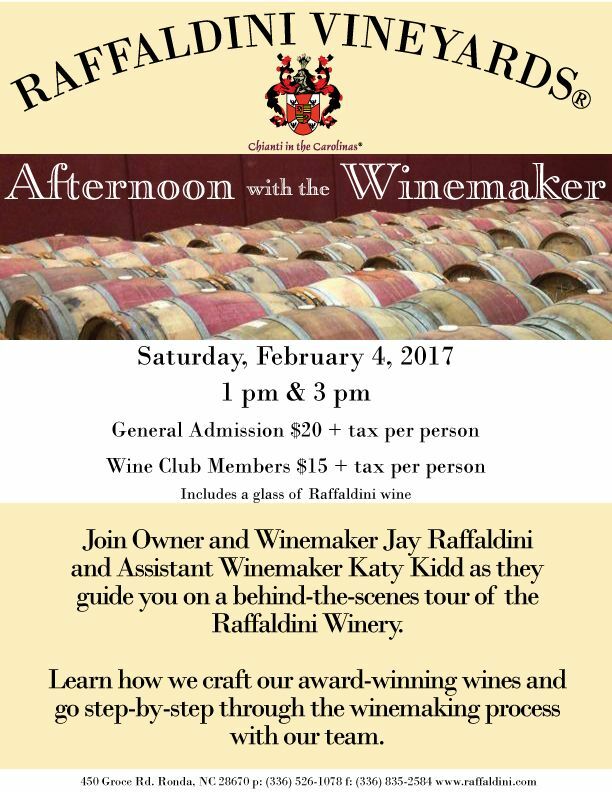 Stop by the tasting room, visit our website www.raffaldini.com, call 336.526.1078 or email our Event Planning team for more information or to make a reservation. *Cancelations with a full refund are accepted up to 7 days prior to the event. If you cancel less than seven days prior to the event, you will receive a full refund only if your reservation is re-booked. This year’s Fall Wine Club Package contains three new, highly-anticipated releases from the 2014-2015 vintage–the best vintages ever in the history of Raffaldini Vineyards. During these years, we were blessed with near perfect, hot and dry weather conditions. By employing our judicious use of the Appassimento process, these vintages reveal focused and complex flavors, expressing the essence of Raffaldini Vineyards, and red wines with unparalleled body and structure. In addition to the wines, each package contains a letter from the Raffaldini Family, winemaker’s notes and recipes to pair with the wines, a list of exclusive Raffaldini events. 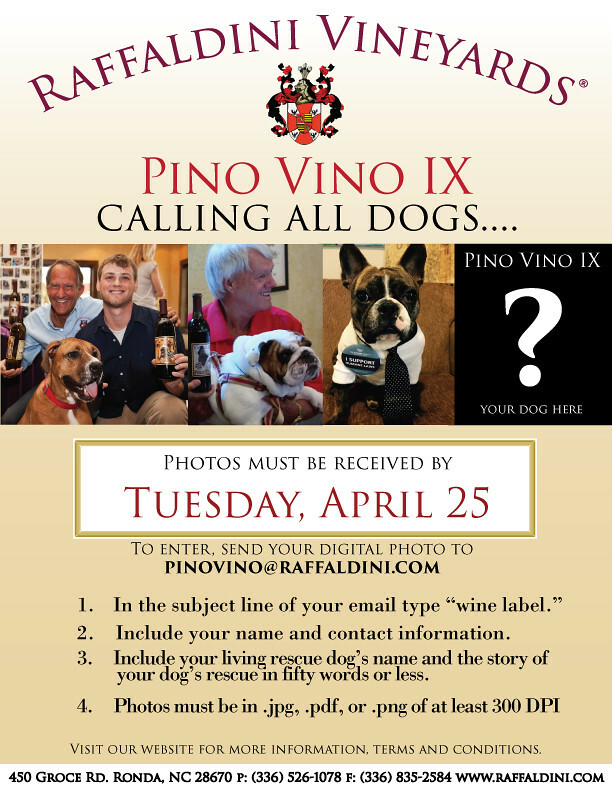 For more information or to learn how to sign up for the Raffaldini Wine Club, stop by the tasting room, visit our web site, call 336.835.9463 or email us for more information. 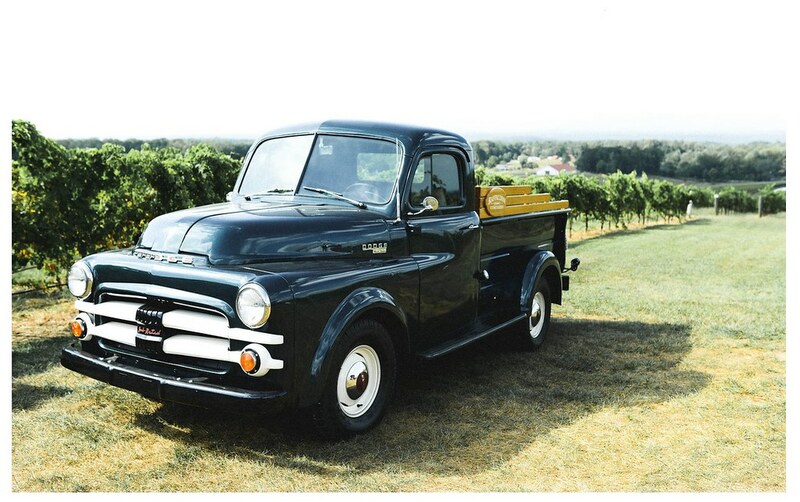 Join Raffaldini Vineyards and the other Vineyards of Swan Creek in celebrating the harvest. At Raffaldini enjoy a complimentary sample of wine along with a food pairing. 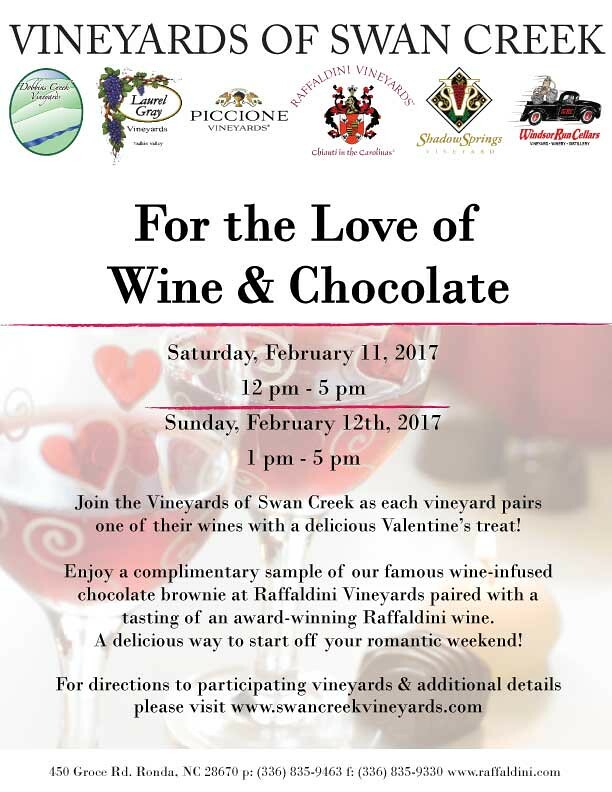 Be sure to visit each of the Vineyards of Swan Creek for additional activities. Check with each vineyard for specific details. For participating vineyards, map and directions, please visit the Swan Creek Vineyards web site. Celebrate Fall at Raffaldini with the sights, smells and colors of Autumn. 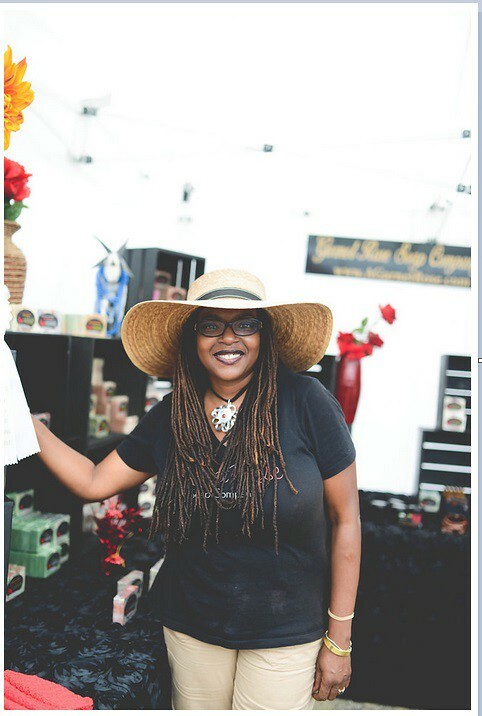 Enjoy an opportunity to sample and purchase local produce, cheese, baked goods and more. Join local growers and vendors at Villa Raffaldini for a flavorful and convenient food and wine experience. Enjoy made to order brick oven pizzas from Gianno’s or a picnic from our fully-stocked deli case. 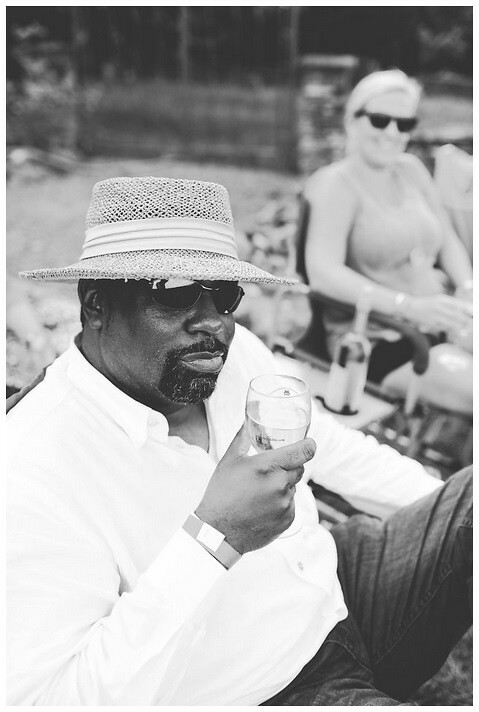 Stop by the tasting room, visit our web site, call 336.526.1078 or email us for more information. Assemblaggio! 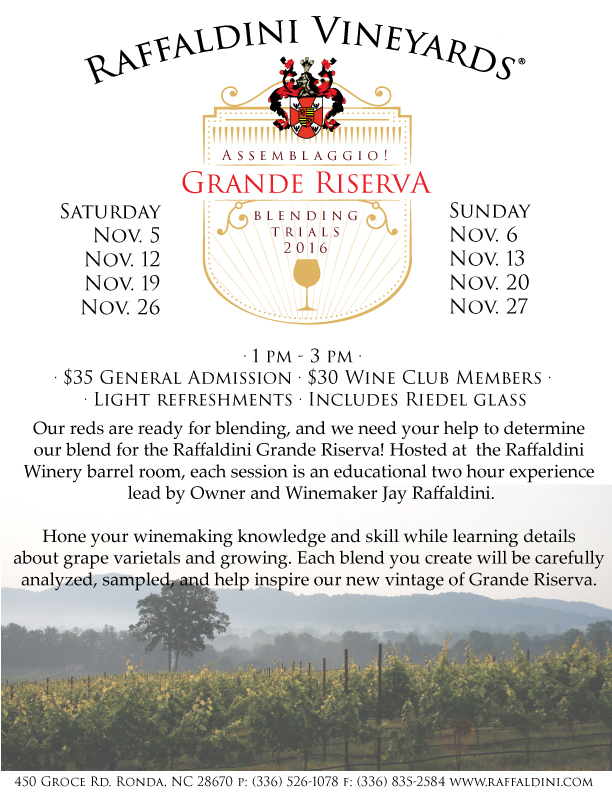 Grande Riserva Blending Trials – Make Reservations Now! A unique event for red wine lovers! As harvest ends, our attention turns to the winery where we will taste and blend our Grande Riserva. Enjoy an intimate, two-hour educational wine experience led by Owner and Winemaker Jay Raffaldini in the Barrel Room of the winery as you taste and then create a special red wine. Each blend you create will be carefully analyzed, sampled and become the inspiration for our Grande Riserva. This event is for those age 21 and over. Cost is $35 per person for the general public and $30 for Wine Club members. 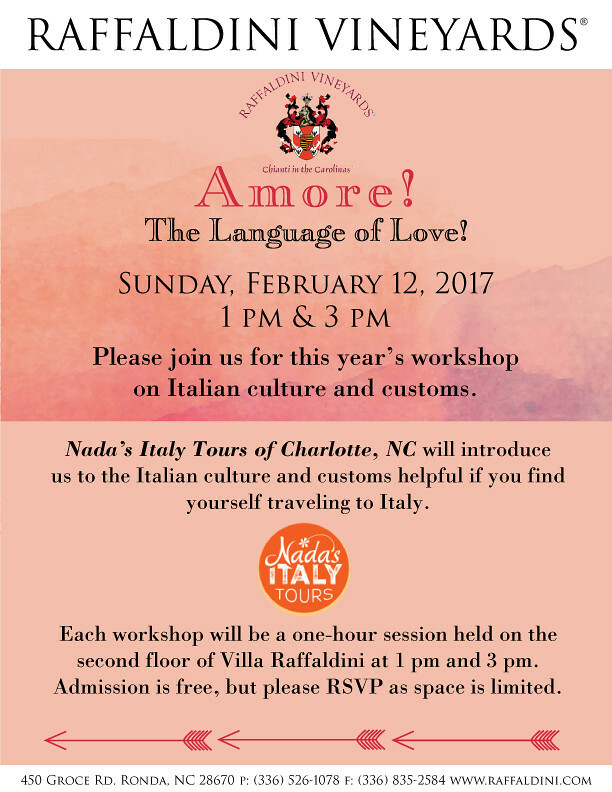 Purchase tickets online, stop by the tasting room, call 336.526.1078 or email us for more information or to make a reservation. Grande Riserva, as the name implies, represents the utmost and very best efforts of all that we do from the vineyard to the winery. In making this limited quantity wine, we used the finest and oldest Montepulciano, Petit Verdot and Sagrantino grapes, harvested at optimal ripeness and then triple sorted. We applied the Appassimento drying process to further concentrate the grapes’ natural flavors and aromas. Finally, we placed the grapes in oak fermenters to further deepen the profile and age the wine in the best oak barrels available. 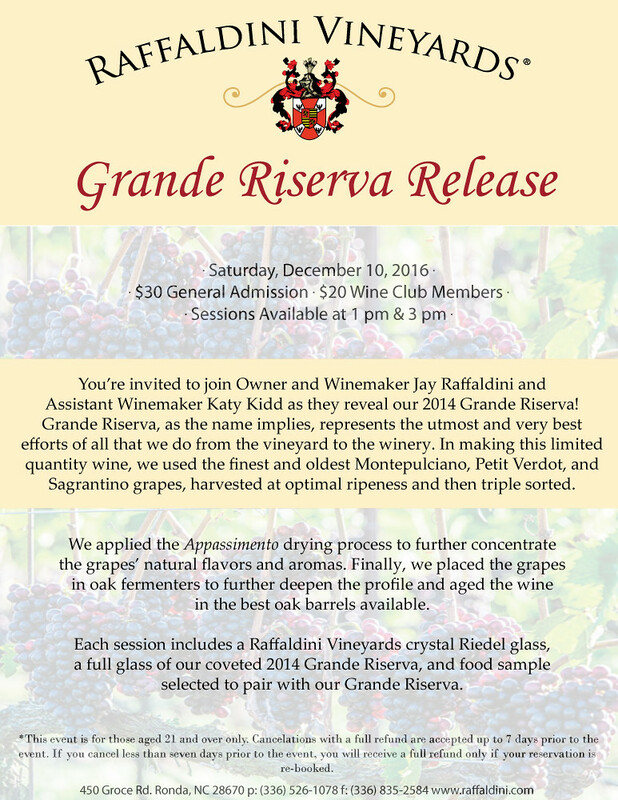 The inaugural release of Grande Riserva is available for preorder ahead of its Saturday, December 10 release date. Less than 100 cases of this wine are available at $55 per bottle. Purchase limits are one case per person for wine club members and six bottles per person for the general public. This month we honor our ancestors and those that made the journey from Italy to the United States in search of a better life. Our story begins with Urbano Di Renzo and his wife Amelia De Felice Di Renzo (pictured in the photo on the right), the maternal grandparents of Jay, Barbara and Tina Raffaldini. Urbano (some of you may remember his namesake wine) left Abruzzo, Italy and traveled to America in 1912, at the age of 17. With very few possessions, limited education and speaking only Italian, Urbano carved himself a piece of the American dream with hard work and determination working in the coal mines and then later for the railroads. 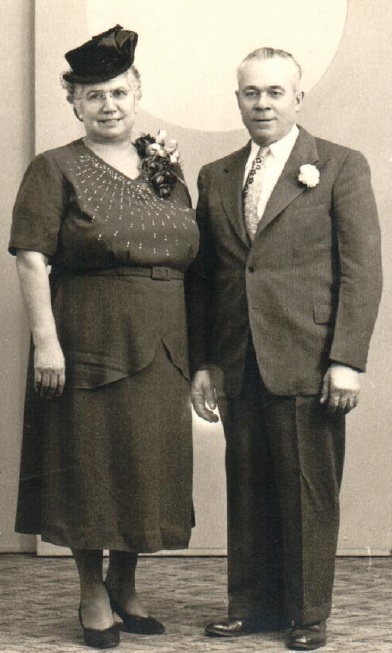 Urbano met his wife, Amelia, who also had left Italy as a teenager, in Binghamton New York, and they married, bought a home and raised six children. 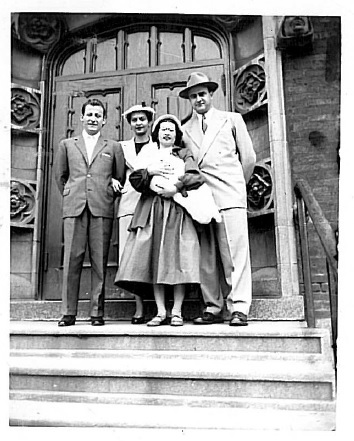 Our story continues with Jerome Lino Raffaldini, Sr., (pictured far left in the photo at left), the father of Jay, Barbara and Tina Raffaldini, who was born in Mantova, Italy. When he was 29, Lino traveled to New York City in 1951 on a business trip. He liked what he saw in New York, including Theresa Di Renzo (daughter of Urbano and Amelia; pictured with her arm in his in the photo at left), and decided to stay. Lino, also hard working and determined, became a very successful business man and was extremely proud to be an American citizen. A new program called “From the Vineyard” will air on UNC-TV beginning Sunday, October 2nd at 1:30pm. 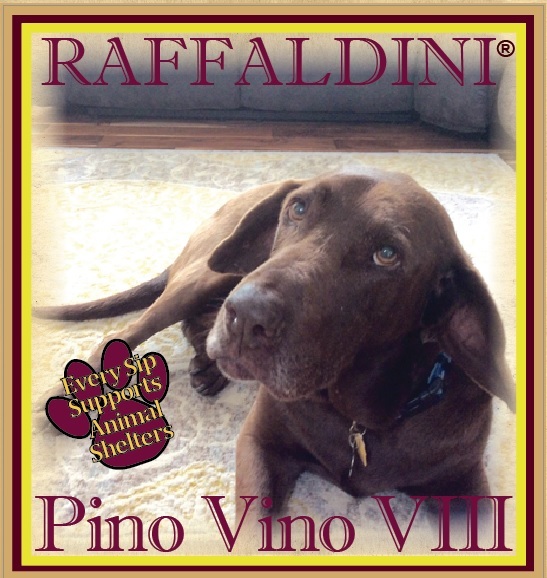 Raffaldini Vineyards will be featured on Sunday, October 23 at 1:30pm. For more info about the show, visit their Facebook Page. Did you know that Raffaldini Vineyards hosts corporate and private events? If the conference room feels like its closing in on you, or maybe the “bored” room has stifled your team’s creativity, excite your senses and invigorate your workforce with a day out at Raffaldini Vineyards. Our Event Coordinating team can help you choose from one of our many activities or we can prepare a one-of-a-kind event that your employees will never forget. Plan your event at Raffaldini.com or speak to one of our event coordinators today, 336.526.1078. 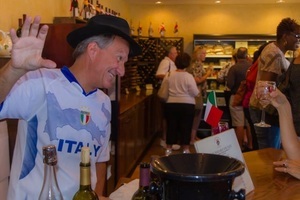 From everyone at Raffaldini Vineyards, Grazie Mille to those who attended the 11th Annual Festa Italiana on Saturday, September 17th! 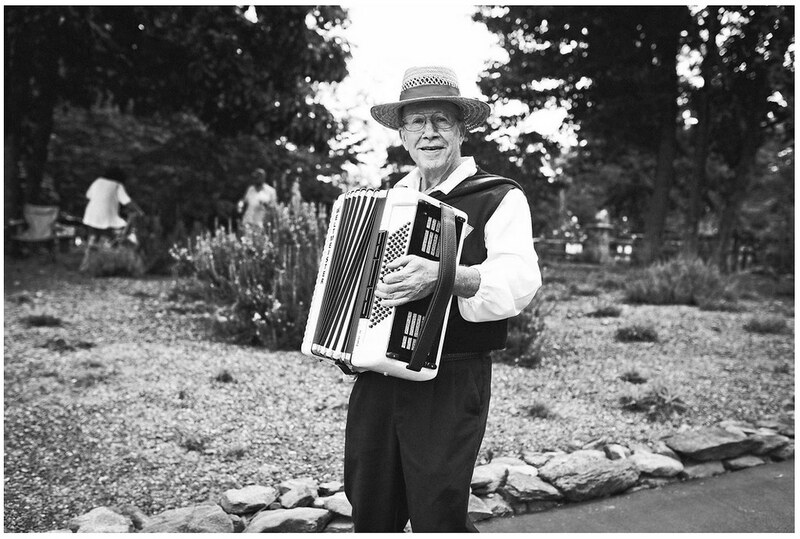 You helped make our 11th Annual Festa Italiana an amazing event! Thanks to all of our vendors, staff, volunteers and guests for making this special day possible. Below are some photos, courtesy of Anna Gray Photography, recapturing the day. Congratulations to the winner of the Guess the Number drawing, Josh Campbell, who correctly guessed the number of Corks in the wine glass. Josh will be receiving a $100 gift card to Raffaldini Vineyards! Aguri Josh! Save the Date for our 12th Annual Festa Italiana on Saturday, September 16, 2017! Weekends in Nov. – Assemblaggio! Grande Riserva Blending Trials – Taste five red varietals from the barrel and blend along with Owner and Winemaker Jay Raffaldini. Sat. & Sun. Nov. 18-19 – Swan Creek Riedel Red Barrel Tasting Wine Tour – Enjoy an exclusive gourmet wine and food pairing at each of the Vineyards of Swan Creek. Sat. 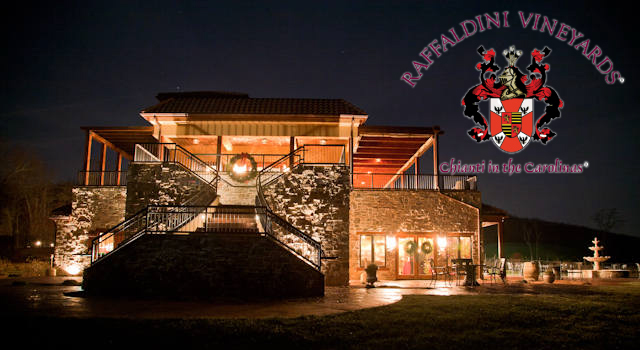 Nov 26 – Small Business Saturday – Pick out the perfect, locally-produced holiday gift at Raffaldini Vineyards. Sun. Nov 29 – Wine Club Member Appreciation Day Enjoy food and wine samples, drawings for prizes, and more! Please RSVP by Nov. 15. 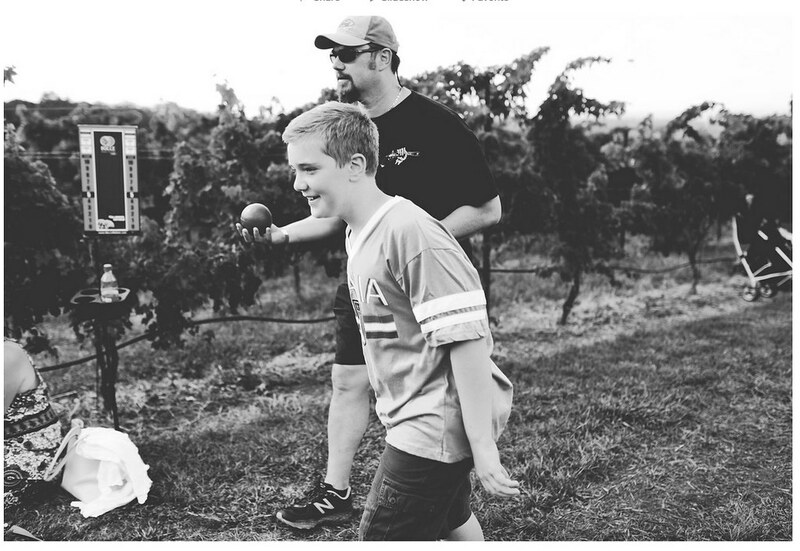 Raffaldini Vineyards is open year-round and there’s something for everyone on our full 2016 Events Calendar. Check out our calendar for the perfect Summer outing.